Indeed, knowledge is power. But did you know that knowledge is also equivalent to money? How is this possible? Like other aspects in life, the major key to success is knowledge. This also applies in Ikko Trader trading binary options. Expand your know-hows with our all-inclusive Ikko Trader ebook. This simple yet comprehensive ebook is created not just for beginners but also for experienced traders who wish to enhance their trading skills. What are the benefits of using Ikko Trader ebook? Reading this ebook is beneficial not only for new entrants in the business but also for those who have gained experience in the online financial trading field. 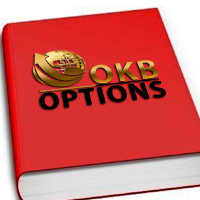 This small piece of PDF file is designed to summarize all the necessary information covering all aspects of binary options, from fundamentals to a more advanced technical analysis. Ikko Trader ebook is extensive enough and is intended to fit all shapes and sizes. The contents of our ebook are not limited to basic information. You will also find quick guidelines about our trading platform, the assets that we offer, various types of binary options available, step-by-step guide on how to trade binary options and even some basic strategies that you can use. Not only that, we also included some advanced topics to cater the needs of our experienced traders. All of these are compiled in a small yet jam-packed file. What’s more, Ikko Trader ebook is free to all of our valued traders. Ikko Trader ebook is made exclusively for all Ikko Trader members. To access our ebook, you need to sign up for an account with us. You have the option to download our PDF file to your computer or read it online thru our website. If you choose to download our ebook, simply click on the download link in our website. A message will appear on your screen showing the download progress and only takes a few minutes to download the file.